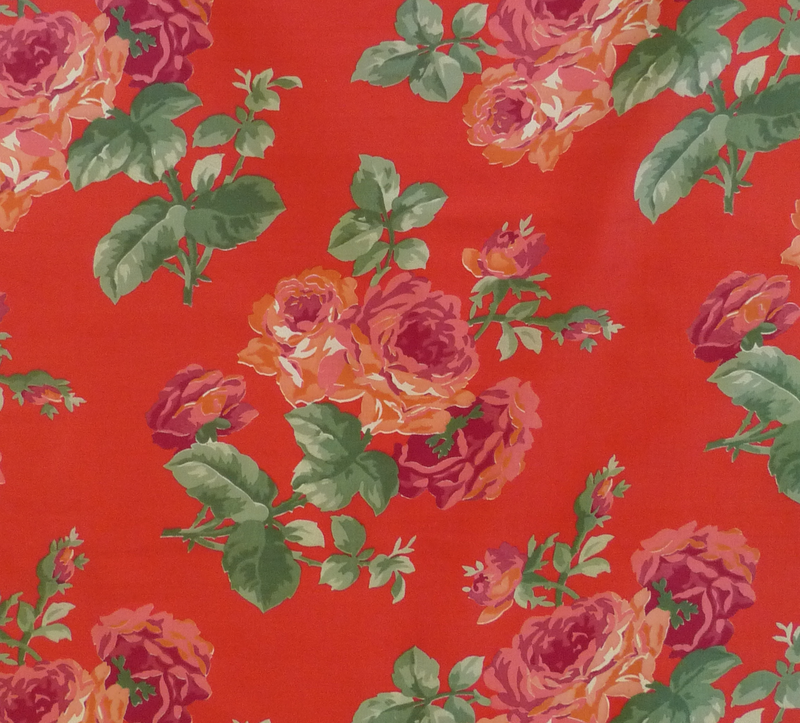 Fine quality printed cotton sateen; 29” selvedge to selvedge; 15” repeat. 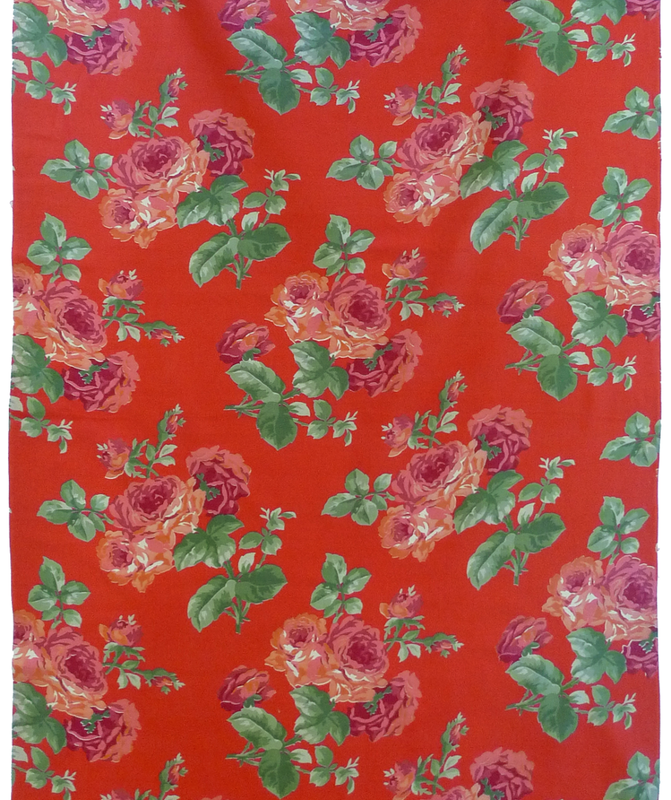 This fabric and “Roses and Violets” were both probably printed at the Tashkent Textile Combine, the huge vertical mill that was the largest in the Soviet Union at this time. Except for the blue violets, both patterns have the same color palette. This length of cloth has never been used and is in excellent condition. A test piece was washed in cold water with mild soap and there was no color run. Sold in 1 yard increments @$75 or $225 for the entire uncut 140” length. If you are interested in this cloth please contact Susan Meller.